Katherine Johnson is the Founder of Spark; align your presence and personal brand. As an internationally-known speaker, leadership presence expert, and image consultant she deciphers the unconscious messages broadcast for your presence so that you can gracefully gain control of your message and be seen, heard, and valued for who you truly are. Katherine grew up achieving great recognition as an athlete and was even named US Olympic Committee Athlete of the Year. However, she found herself in new territory when faced with the transition from professional athlete to purposeful life. 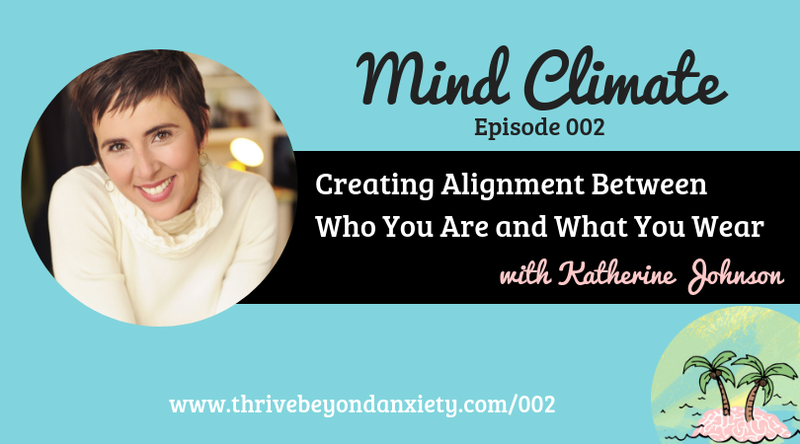 In this episode, Katherine is going to share with us what it means to have alignment between our true selves and our wardrobe, what that looks like, how we can accomplish it, and how it can positively impact our headspace.